March Bellabox Beauty Secrets Exposed Giveaway Winners! 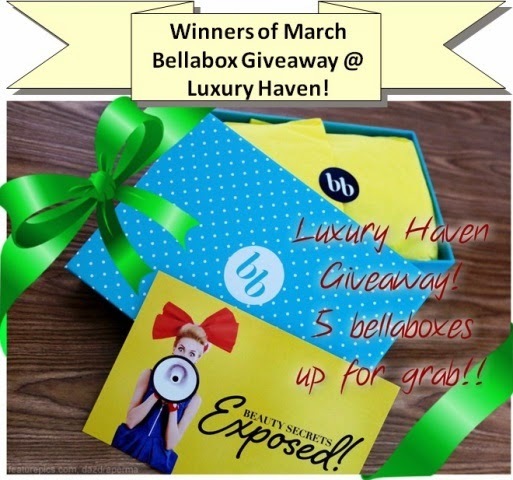 You are here:Home » Online Shopping » March Bellabox Beauty Secrets Exposed Giveaway Winners! Here's announcing the winners of March Bellabox Giveaway! Congratulations to Kathy Woon-Tan, Katherine Au, Ashmika Jain, Pei Lin and Chelsea Cheong! 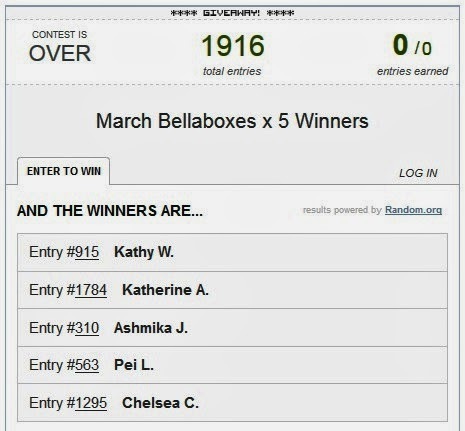 You've won yourself a March bellabox each! After which, I'll forward your details to #bellabox and then advise you accordingly via email on the collection details. Thank you so much bellabox, for sponsoring these beauty boxes! Kathy, congrats! Now just waiting for the last winner to response. Congrats, all lucky winner. Enjoy your surprise bellabox! Kat, will send your details once all winners have responded. Thanks Bellabox,I'm thrilled to be 1 of the winner. Chelsea, congrats! Will be submitting your details once all have responded. Thanks a lot. Awesome opportunity to try amazing products..
Pei Lin, awesome! I'll be submitting all your details to bellabox & will email you guys later. Congrats to you too Shirley, you make things happen !